2018 was another successful year for Falklands Xtreme Sports and was capped off with a fantastic turn out for the first ever 10K run to support military veterans suffering with PTSD. 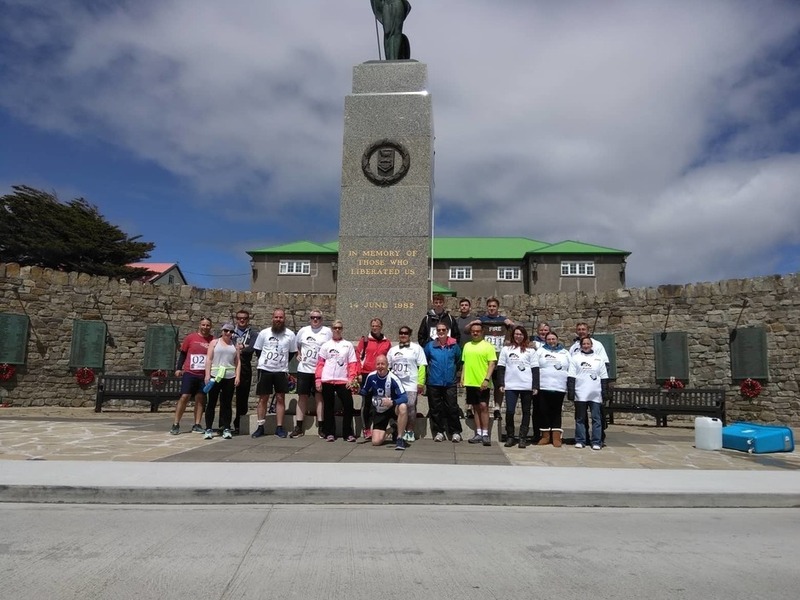 This run was set up to coincide with the plight of ex Para Gus Hales in the UK who is fighting for more support from the UK Government for those veterans suffering from PTSD. 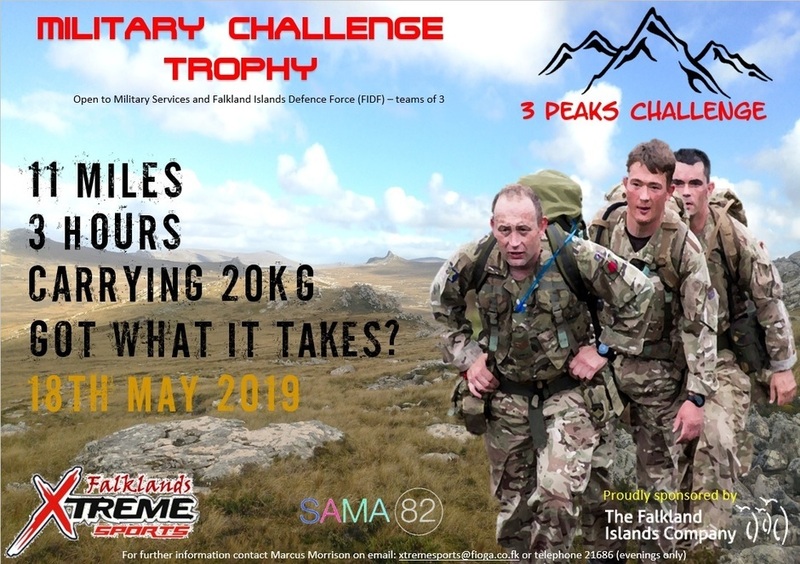 Falklands Xtreme Sports wanted to continue their strong links with military veterans and so happily offered to provide an opportunity to raise awareness and funds. It was an excellent turn out with 36 entrants, 28 runners and 8 walkers. The route started at the Town Hall and went east along Ross Road, going past Liberty Lodge, easterly down Airport Road and turning just before the Boxer Bridge turn off. Heading west on the Airport Road, entrants made their way along the uphill road towards the Sappers Hill turn off before then turning to head down past the Sappers Hill Development and finishing at the Liberation Monument. 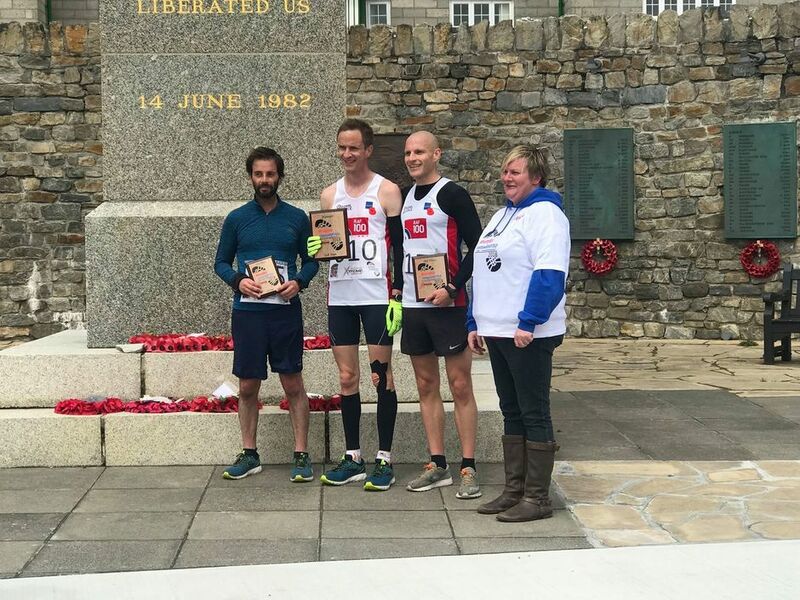 Tom Bailey was the winner on the day with an outstanding run of 34 mins and 53 seconds followed by Craig Alexander coming in at 39 minutes and 28 seconds and with Brendon Lee taking third spot with a time of 39 mins and 30 seconds. For my first race in years I was able to run a personal best of 1hr 4mins and 52 seconds, nothing to write home about and much work still needed :) On completion they were presented with their winning plagues by race official Priscilla Morrison-Betts. £565.23 was raised on the day and will be donated to the Parachute Regiment Charity (PRC) "Support our Paras". Thank you to all those marshals that helped on the day and to the Running Club for the provision of the water refill stations and hi-vis vests. I cant stress how important it is to support our veterans who sacrificed so much for our freedom and for those military personnel that continue to serve and protect our freedom and our right to self determination. We will continue to support our veterans and those serving military personnel as much as we possibly can and are always looking at new fundraising events for the community to get involved in. So keep a look out for future events. Mari-ann is currently working hard to chase those late payers for the Falklands Xtreme Hot Lotto and we do hope people will get their payments in as it really does affect the payout for the winner and the charities. The decision was made that non-payers will now be black listed from playing any future Lotto's. I am sure our two latest winners of £2500, Petra Gilding and Jane Clarke will be over the moon and putting their winnings to good use. I must state that Jane would not have won if Mari-ann and myself had not pushed her to enter! I do believe a steak meal from the Malvina House Hotel is due ;) There is now an £8000 Lotto running with tickets flying out the door and I believe of the 500 tickets to sell there is around 180 left! It was only opened up at the start of the week so just goes to show how popular the Lotto really is. Again we had great pleasure in being able to donate £500 to the Falklands Veterans Foundation Liberty Lodge from the Lotto. 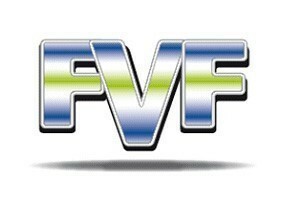 With this payment we have so far raised £1500 and after the next lotto will see a further £1000 going to the FVF. 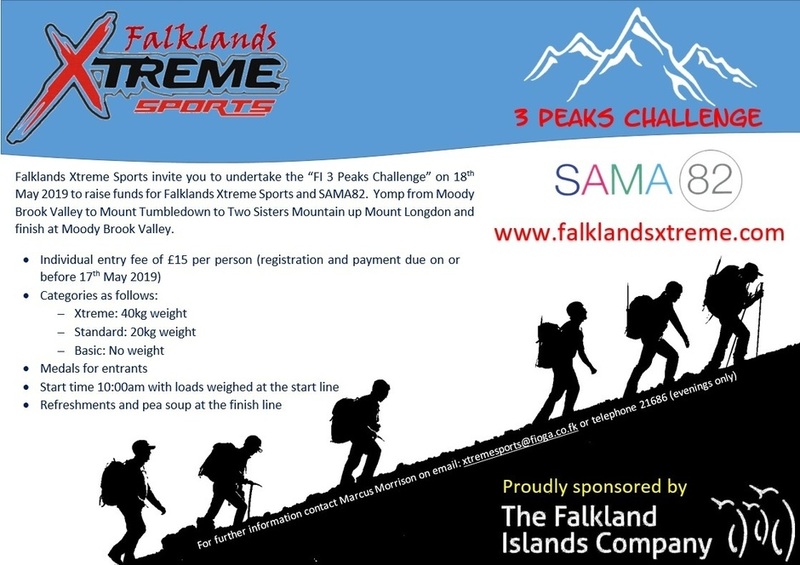 We cannot thank our players enough as without you all we wouldn't be able to provide the funds to the FVF and Falklands Xtreme Sports. So please keep playing, and you just never know you may be the next one to win the grand prize. 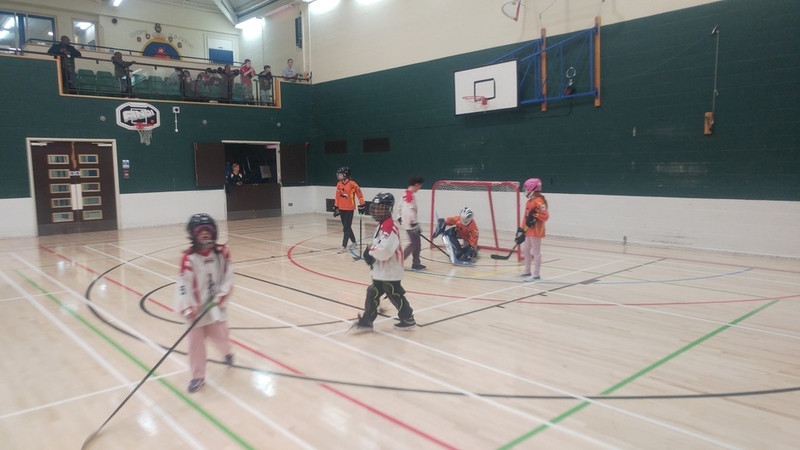 The ball hockey season seen a few changes this year as the Junior league was shortened but playing in more regular gym slots to ensure the players were kept interested in the sport. This worked well as only 2 games had to be be given a 3-0 scoreline due to a team not showing, so it has shown keeping the league short and sweet is a must for the Juniors. The Camilla Creek Crusaders sponsored by Templars Medical retained the Morrison Xtreme League crown with the Spring Point Spartans sponsored by Falklands Xtreme Adventures and then the Walker Creek Warriors in third sponsored by Saddle Direct. It was a fantastic season and very exciting for all those involved. 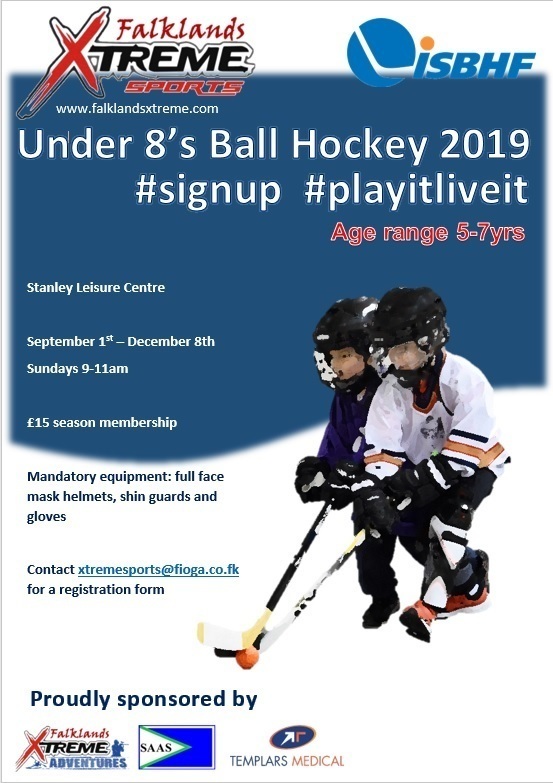 Next season will see changes to the teams and the introduction of an intermediate league which we hope will help ensure fairness for the younger players and create a much more challenging league for the older players. The adult league started very well but was then fraught with problems going into the final cup which resulted in the cup being cancelled due to a lack of players turning up. This was a great shame as we had worked hard to condense the adult season to make it more competitive and attractive for our players. The balance is right but we need to work hard on locating players who are going to give the sport its 100% commitment that it truly deserves. The future of ball hockey is exciting as we look to introduce the first South American Ball Hockey tournament and we are working hard to make this happen with Chile the first country on the radar. So ball hockey is the sport to play and get involved in. So do not hesitate to get into contact with us if you would like to play in the next seasons adult league. Despite the last cup being cancelled the previous league and cup provided some excellent games and competition. The Spartans managed to complete the double by claiming the Morrison Xtreme League and the FIC Xtreme Trophy. I am sure they were just as disappointed to see the last cup cancelled as we were as they pushed to obtain the treble and match that feet of last seasons treble winners the Port Howard Patriots sponsored by SATLAN. 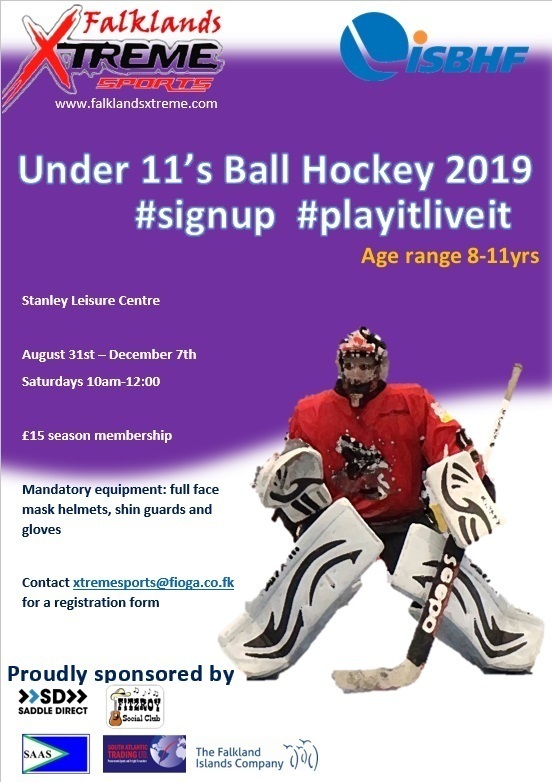 With the extra fundraising being undertaken it has helped the club purchase the necessary equipment for the junior league and means each goaltender will have their own kit next season. 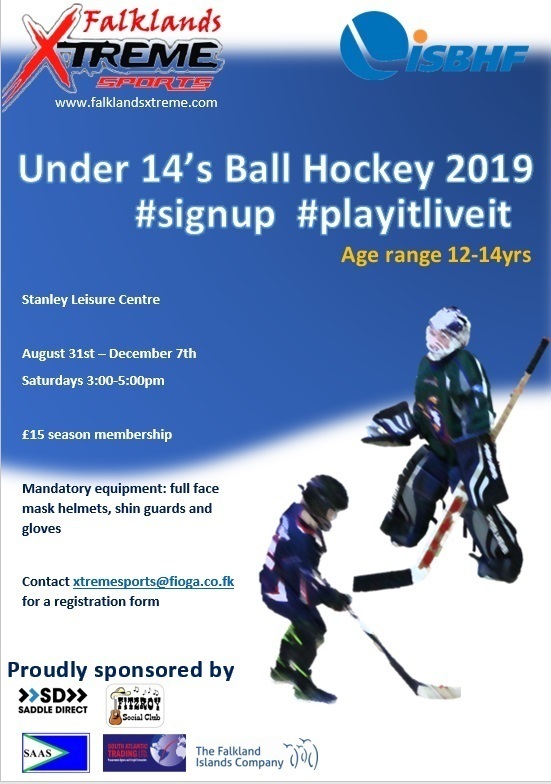 We are continuing to increase our equipment and will be working on obtaining further goal tender kits for the intermediate league, junior sticks, helmets, shin guards and gloves so that we have a stock available for players. We also will be purchasing further shirts for Junior and Adult players as well as creating shirts for new teams for the Intermediate League. Adults will also be obtaining new goal tender equipment and sticks. We really want to ensure the equipment is in place going forward into the next season. As per usual we are working on arranging the next Raft Race and have been advertising for you all to get your rafts designed and into the New Years Raft Race. We will have a bouncy castle available for the kids and DJ Matt Newton as well as the Zim Harmonies once again making an appearance to sing us into the New Year. The Narrows Bar is the place to be on New Years day! We are looking forward to next year and what it will bring for the club and believe next season will be bigger, better and much more exciting than the year just gone by.